Serving as a cover and its position is outside, the roof as much as possible should be made of strong materials and resistant to all weather (sunlight, rain, and wind). Roofing by using this type of roof is also known to be durable and resistant to rust. Manufactured with thin sheets so that they are easy to use and install. Generally still widely used for warehousing or special places such as garages, warehouses at home. Even so in the countryside there are many roofs of people's houses made of zinc. 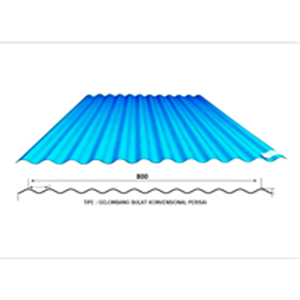 Roofing using this type of roof helps to reflect sunlight and heat from buildings, thereby reducing roof temperature. 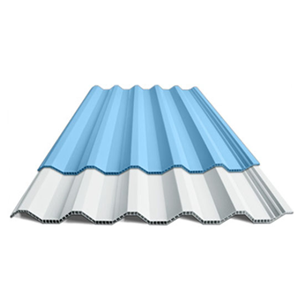 Suitable for roofing your home, office, factory, sports stadium, agriculture industry, marine product producer, market, commercial & non commercial building with various types of construction. 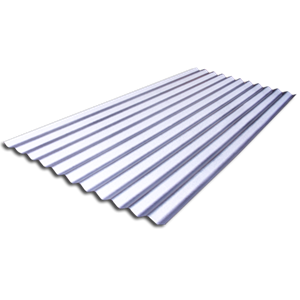 Roofs - Walls Conventional wave that is a real first and flagship product Sabe STEEL since 1999. Produced by the material STEEL ALUMINUM LAYER 55%, which makes riingan, cooler, more resistant to rust and weather, and can be easily attached and leakproof. Available in various thickness and color variants.